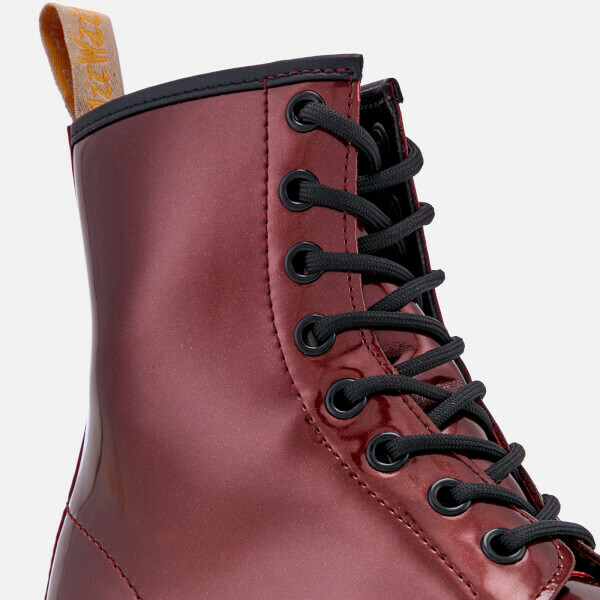 The Dr. Martens iconic ‘1460’ leather boot takes its name from the date of its inception, 1st April, 1960. 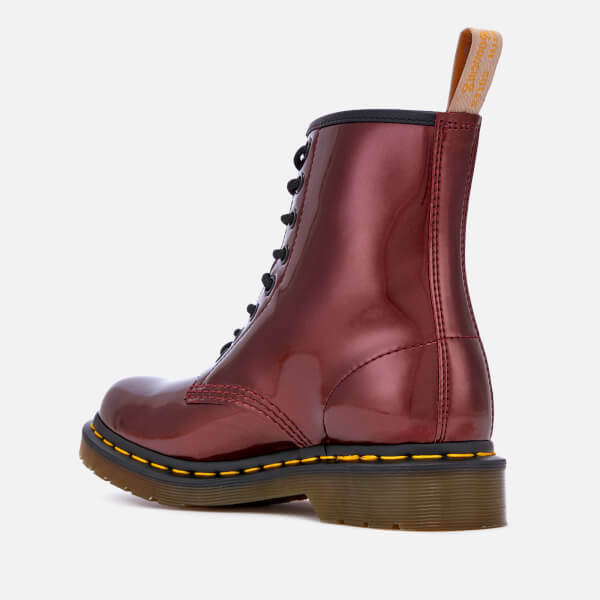 Originally worn as durable work boots, the ‘1460’ 8-eye boots went on to be adopted by British youth subculture and have since become a symbol of self-expression. 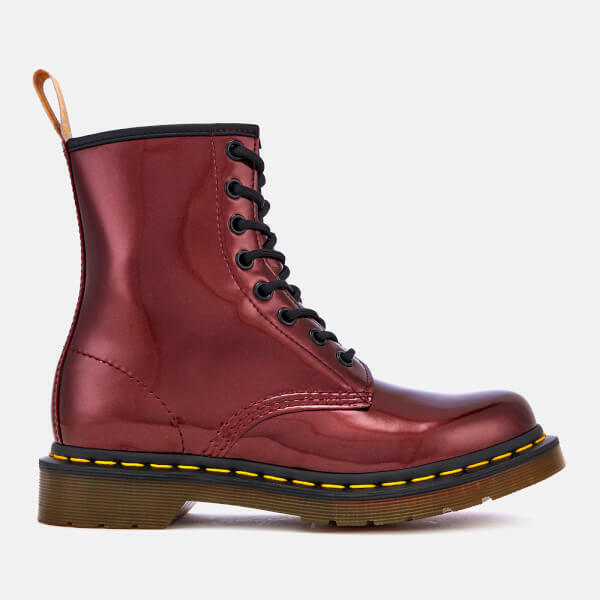 Crafted with Vegan Chrome uppers in oxblood, the iconic eight eyelet boots are designed with all of Dr. Marten’s signature details including: grooved sides, an AirWair™ heel-loop and contrast yellow welt stitching. Goodyear-welted, the upper and signature air cushioned sole are heat-sealed and sewn together for durability. The metallic leather boots are finished with a branded insole and a signature PVC outsole that provides excellent abrasion and slip resistance. Upper: Vegan Synthetic. Sole: PVC. Saw these in the shops but walked away from them! From that moment I knew that I should have bought them! As soon as I got back home I ordered them from allsole, they arrived next day so I didn't waste too much time! Best pair of shoes/boots I own! 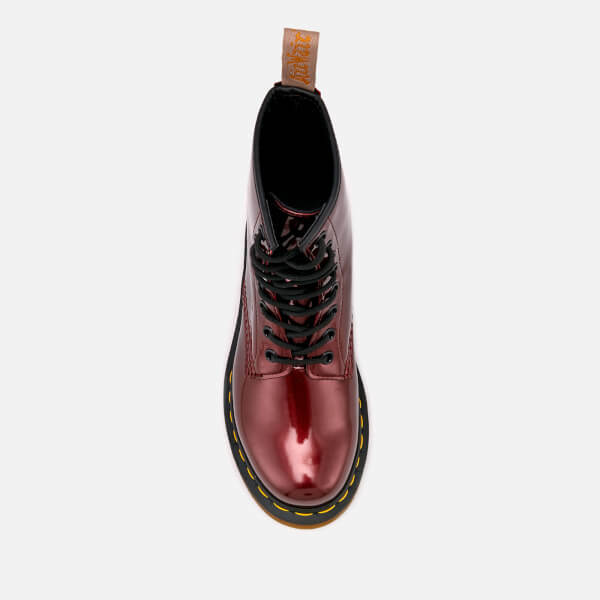 Absolutely love them, I'm even thinking about getting another pair of Dr Martens! Excellent service from Allsole.